Water and Sewerage Company (WASCO) is a company duly established under the Water and Sewerage Company (Propriety) Limited (Establishment and Vesting) Act, 2010 Enacted by the Parliament of Lesotho. The company’s Act established the Water and Sewerage Company (Proprietary) Limited and provided for the vesting of the assets, liabilities, rights and obligations of the Water and Sewerage Authority in the company, and provided for the transfer of employees. Water and Sewerage Company (WASCO) serves almost 300 000 people in the urban centres with potable water. The Company has over 80 000 customers which is 60% of the total urban population. The safe drinking water is supplied through post paid, pre paid and standpipe connections. The Company also serves the many industries and commercial premises, particularly in Maseru namely; Nien Hsing, C&Y, Global Garment and Lesotho Brewing Company, which use about 40% of the water produced. In total 60% of the water produced is used in industries and commerce. 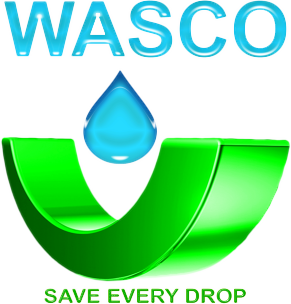 WASCO has covered 49% of sites in urban centres with water connections and 13% of sewer connections. Over and above the said connections, the Company regulates sewage tanker service. This service is done by private tank owners in Maseru and this has recently been introduced in other urban centres. The emptying service is provided to households and businesses in areas that have a reticulated water supply but do not have access to piped sewerage. The tankers are used to empty septic and conservancy tanks including VIP toilets. On average, water production for the city of Maseru is 40 mega litres per day. Maseru residential and industrial customers obtain their water mainly from the Caledon (Mohokare) river, which is supplemented by water from the Maqalika dam when river levels are low and when there is high turbidity in the river. In the remaining 15 town centres, raw water is abstracted from rivers, (surface water) and well points. Some of these towns obtain their supplies from springs and boreholes (ground water).